Do あなた think the Nate/Blair/Chuck 三角形 would happen again? Do あなた think Jenny should have a 愛 triangle? If あなた could see a 愛 三角形 happen, which one would あなた want to see? Which 愛 三角形 Is もっと見る Intresting? Blair vs. Vanessa vs. Chuck vs. Nate vs. Gossip Girl vs. Jenny vs. Serena vs. Dan vs. Jenny vs. Blair. A bomb is about to go off and the Upper East Side will never be the same. あなた know あなた 愛 me, XOXO Gossip Girl. a comment was made to the poll: Do あなた think the Nate/Blair/Chuck 三角形 would happen again? a comment was made to the poll: If あなた could create a 愛 三角形 with Nate and Serena, who would あなた create a 愛 三角形 with? a comment was made to the poll: How would あなた like to see a Dan-Serena-Nate 愛 三角形 play out? a comment was made to the poll: Who's Your Fav? 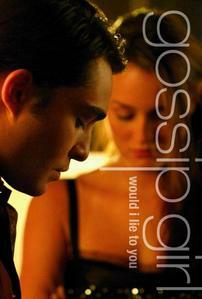 IN SEASON 2 DID BLAIR WENT 2 SUM1 ELSE VEN REFUSED によって CHUCK?